Day 1: Nairobi – Masai Mara: After breakfast depart for Masai Mara, one of East Africa’s most famous reserves, The Mara consists of undulating hills and great rolling grasslands that sustain some of the most varied wildlife in Africa, if not the world. Arrive in time for lunch at camp/lodge. Afternoon game viewing, in search of lion, elephant, cheetah, giraffe, buffalo, wildebeest, gazelle and other plains game abound, not forgetting the hundreds of species of birds. Dinner and overnight in camp/ lodge. Day 6: Amboseli-Namanga-Arusha –Manyara: Breakfast and depart for Namanga, lunch enroute and exchange vehicles at Namanga Border and proceed to Lake Manyara. Afternoon game drive around the lake, dinner and overnight at Lodge. Day 8: Ngorongoro – Serengeti: After early morning breakfast,-visit the crater with picnic lunches, dinner and overnight at Lodge. Day 9: Ngoro – Serengeti: After breakfast drive to Serengeti. Arrive for lunch at Ikoma Safari Camp. Afternoon game drive in the park, dinner and overnight at Ikoma Safari Camp. Day 10: Serengeti: Full day in Serengeti, meals and overnight at Ikoma Safari Camp. Day 1 - Nairobi: Upon arrival at Jomo Kenyatta International Airport followed by transfer to Hotel in Nairobi where you will spend the night. 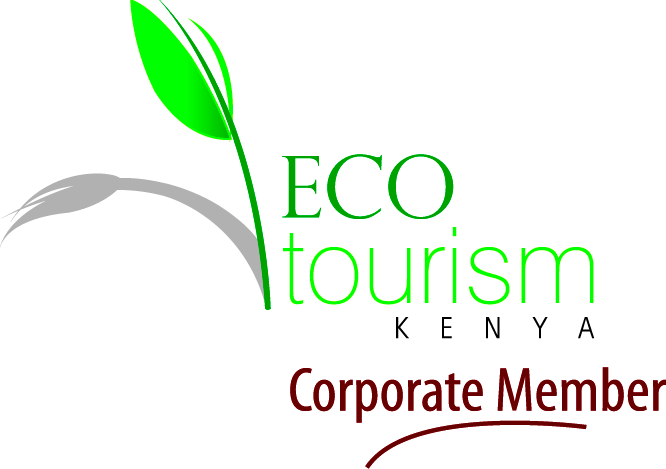 Depending on your arrival time you can explore Nairobi under the lead of our experienced tour guides. Day 2 - Masai Mara National Reserve: After breakfast, depart from Nairobi for the Maasai Mara National Reserve, overnight at Lodge, with afternoon game drive enroute. Day 3 - Masai Mara National Reserve: Early morning game drive in the Masai Mara then return for breakfast. Afternoon game drive will follow after lunch at the lodge or picnic lunch. Overnight at Lodge. Day 4: Lake Nakuru National Park: After breakfast, drive to Lake Nakuru in time for lunch at the Lake Nakuru Lodge followed by an afternoon game drive. Lake Nakuru, a soda lake, is home to the Greater and Lesser Flamingos. The park is a bird watching haven where you can spot different species. Day 5: Amboseli National Park: Early start and head out to Amboseli stopping off for lunch and game viewing on the way. Stay overnight at Amboseli Serena Lodge on a full board basis. Amboseli is famous for its unforgettable views of Kilimanjaro, and a relaxed abundant population of elephants. Day 6: Amboseli National Park: Enjoy breakfast and spend the day viewing game while Mount Kilimanjaro lies in the background. Day 7: Departure: Departure in the morning for Nairobi for your onward travel arrangements. Day 1: Nairobi – Tree Hotel: After breakfast, drive to Nyeri for lunch, Lord Baden Powell, the founder of The Boys Scout Movement spent the last years of his life and is buried at the Nyeri cemetery. After lunch drive through the forest to the tree hotel of your choice (The Ark, Treetops or Mountain Lodge) for dinner. After dinner watch the forest game as they come to drink and lick salt at the floodlit waterhole below. Day 3: Samburu National Reserve: After morning breakfast, you explore this harshly beautiful reserve where game abounds, especially in the forest fringes of the Uaso Nyiro River which flows gently through the dry landscape. Lunch at lodge and free afternoon; perhaps spend by the swimming pool. Dinner and overnight at the safari lodge. Day 4: Samburu – Lakes Nakuru & Naivasha: After breakfast, drive through the northern tip of the Aberdare mountains to descend the Great Rift Valley to Lake Nakuru. Game drive enroute to Lake Nakuru Lodge for lunch, afternoon game drive by the lake’s shore home to millions of flamingoes, later drive to Lake Naivasha for dinner and overnight at a hotel. Day 5: Lake Naivasha – Masai Mara: After breakfast, drive across the lunar landscape of the Great Rift Valley to Masai Mara Game Reserve for lunch, afternoon game drive, dinner and overnight at the lodge. Day 6: Masai Mara: Early morning game viewing, breakfast, another game drive, lunch, afternoon game drive, dinner and overnight at the lodge. Day 1: Nairobi –Masai Mara: After breakfast depart for Masai Mara, one of East Africa’s most famous reserves, The Mara consists of undulating hills and great rolling grasslands that sustain some of the most varied wildlife in Africa, if not the world. Arrive in time for lunch at lodge/camp. Afternoon game drive in search of lion, elephant, cheetah, giraffe, buffalo, wildebeest, gazelle and other plains game not forgetting the hundreds of species of birds. Dinner and overnight at camp/lodge. Day 2: Masai Mara: Dedicated to game spotting in this sprawling reserve where you can watch a lion, cheetah or leopard hunting or feasting on its kill. Also, there’s an option of a visit to a Masai village or a hot-air balloon ride that starts at 06.00 am and ends with a Champagne breakfast on the plains. What an exhilarating experience! All meals and overnight at the camp/lodge. Early morning breakfast followed by game drive until lunch time. After lunch, drive to Ngorongoro for dinner and overnight at Lodge/camp. Day 4 - Masai Mara: Full day game drive including visit to Mara River. All meals and overnight at Lodge. Day 5 Nairobi: After an early morning game drive we return to Nairobi. Day 1 - Samburu National Park: Depart Nairobi in the morning and drive northwards to Samburu Game Reserve via Mt. Kenya and Past Coffee plantations. Picnic lunch and game drive en route viewing the reticulated giraffe, Grevys Zebra, Gerenuk, Beisa Oryx and the Somali Ostrich, all of which are unique to Northern Kenya. Dinner and overnight at Lodge. Day 5 - Nairobi: After an early morning game drive in the Masai Mara we depart for Nairobi arriving early evening for dinner. Day 1: Tsavo East: After early breakfast leave Nairobi and head south using Nairobi Mombasa highway passing through the vast Ukambani land and drive to Tsavo East arriving in time for lunch. Afternoon game drive, dinner and overnight at Lodge. Day 2: Tsavo East: Early morning game drive, breakfast, long game drive, lunch, evening game drive, dinner and overnight at the same lodge. Day 4: Tsavo West: Early morning game drive, breakfast, long game drive, lunch, evening game drive, dinner and overnight at same lodge. Day 5: Nairobi: Early breakfast leave for Nairobi with game drive enroute, stopover email for lunch; proceed to Nairobi arriving late afternoon. Day 1: Tsavo West: Leave very early towards Nairobi Mombasa highway up Mtito Andei Gate arriving in time for lunch. Afternoon game drive. Dinner and overnight stay at lodge or camp. Day2: Tsavo West: Early in morning game drive to Mzima springs where all the water from Mt. Kilimanjaro comes underground through the Volcanic Lava. After viewing the hippopotamus, crocodiles and different kinds of birds, later drive to Shetani Volcanic Lava. Dinner and overnight at Lodge. Day 3 Nairobi: Early morning game drive, breakfast and check out from the lodge and leave for Nairobi arriving late afternoon. Day 1: Nairobi – Amboseli: After breakfast drive to Amboseli National Park arriving in time for lunch, evening game drive, dinner and overnight in the lodge/campsite. Day 2: Amboseli: Early morning game drive, breakfast, game drive, lunch, evening game drive, dinner and overnight in the lodge/campsite. Day 3: Nairobi: Early morning game drive, drive back to lodge for breakfast and depart to Nairobi arriving in the early afternoon. Day 2: Masai Mara: Early morning game drive, breakfast, game drive, lunch, evening game drive, dinner and overnight at lodge or campsite. Day 1: Nairobi – Samburu: After early morning breakfast, depart Nairobi and drive northwards to Samburu Game Reserve via Mt. Kenya and past Coffee plantations in central Kenya arriving in time for lunch. Proceed for afternoon game drive, dinner and overnight at safari lodge. Day 2: Samburu: Early morning game drive, breakfast, game drive, lunch, afternoon game drive, dinner and overnight at lodge. Day 3: Samburu – Nairobi: After breakfast have a game drive as we drive back to Nairobi arriving in early afternoon. Day 1: Nairobi – Amboseli: After early breakfast, depart Nairobi and drive southwards across the Athi plains to Amboseli National Park. Game drive en route lodge arriving in time for lunch. Afternoon game drive, dinner and overnight at lodge. Day 2: Amboseli: Early game drive with spectacular view of Mt Kilimanjaro which is usually clear in the early morning, breakfast, game drive with packed lunch, dinner and overnight at lodge. Day 3: Amboseli – Nairobi: Early game drive, breakfast and check out. Leave for Nairobi arriving late afternoon. Discover and experience East Africa with African Beads Safaris, a Destination Management Company offering Safaris in the region. P. O. Box 56109 – 00200, Nairobi, Kenya. Copyright © 2019 African Bead Safaris LTD.